This weekend, the official Dragon Ball FighterZ World Tour will culminate at a grand finals event in Los Angeles, California. It’s sure to be an explosive finale, but the fireworks are actually starting on Saturday, as hundreds of players compete in a handful of last-chance qualifiers. The Dragon Ball FighterZ World Tour was organized in such a way that players were able to win more than one qualifying tournament while en route to the finals. Winning a qualifier also meant winning one of seven Dragon Balls, just like the foundational conceit of many adventures in the original manga and anime series. That’s why players were allowed to win more than one of these events: to open up the possibility of one player winning all seven, at which point the finals would turn into a one-on-one between the sole Dragon Ball holder and a qualified challenger. Reality fell somewhat short of that potential climax. Japanese powerhouse Ryota “Kazunoko” Inoue won just four events, leaving Dominique “SonicFox” McLean, Goichi “GO1” Kishida, and Eduardo “HookGangGod” Deno each taking one Dragon Ball apiece. As such, the finals will be preceded by four additional qualifiers the day before. The setup of these last-chance qualifiers means that competition will be greatly truncated. Hopeful competitors will take part in four separate brackets, each of which will be single-elimination. This is much different than the usual double-elimination format used in most competitions, in which players get a second chance after taking a loss. But losing one qualifier will not disqualify someone from the others, meaning everyone has four shots at making the Dragon Ball FighterZ World Tour finals. As of today, over 250 players from across the world have signed up to participate. With only four finalists selected, a bunch of amazing Dragon Ball FighterZ players have been left on the outside looking in, and many will be in attendance trying to earn one of those remaining four spots. Chief among these challengers is Shoji “Fenritti” Sho, the highest-ranked player that has yet to make the World Tour finals. Fenritti made a name for himself in competition with the BlazBlue series, and now, he has taken to Dragon Ball FighterZ quickly. He barely missed out on qualifying at the Japan Saga event last November, where he lost a dramatic grand finals match against Kazunoko. While many other players have been experimenting with their team composition, Fenritti has remained true to his squad of Perfect Cell, Bardock, and Super Saiyan Vegeta, which gives him three dynamic characters that he can use to mix up his opponents. Fenritti isn’t the only Japanese player looking to make waves after losing a qualifying event. Ryo “Dogura” Nozaki, Naoki “Moke” Nakayama, and Tachikawa Toru, each of whom fell short of earning their own Dragon Balls at VSFighting, South East Asia Major, and CouchWarriors CrossUp respectively, will all be in attendance to compete for a shot at the finals. Each of these players has been consistent over the course of the game’s lifespan, and they’ll likely be in the running throughout many of the qualifying brackets. It’s even harder to guess who will make the cut when you take into account domestic talent. Reynald Tacsuan, Steve “Supernoon” Carbajal, Keenan “Kizzie Kay” Kizzie, Eddie “brkrdave” Sayles, and Jonathan “Cloud805” Morales are frequent Southern California champions that have also found success abroad. Vineeth “ApologyMan” Meka and Derek “Nakkiel” Bruscas—both of whom also transitioned from BlazBlue to find success in Dragon Ball FighterZ early on—have all but cemented their status as the best in their respective Northern California and Pacific Northwest regions. And when SonicFox isn’t around, east coast competitors like Jon “dekillsage” Coello, Steve “Lord Knight” Barthelemy, and Aaron “NicoMaki” Perez take regular wins at the Brooklyn-based Next Level Battle Circuit tournament series. 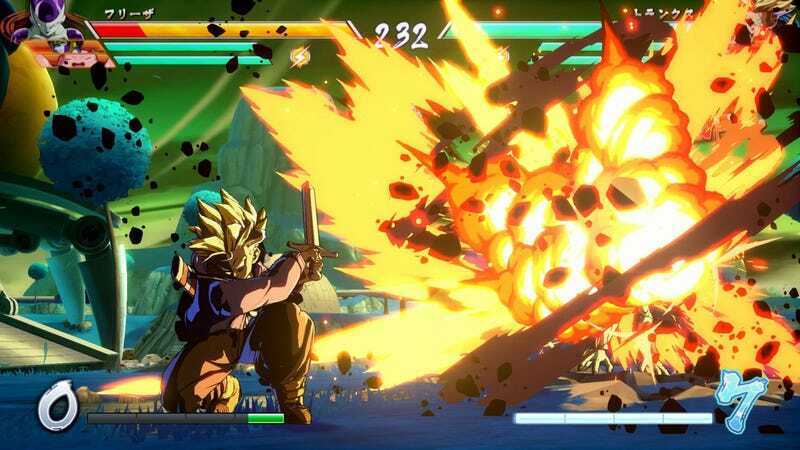 The number of talented Dragon Ball FighterZ players in attendance combined with the unforgiving one-and-done format will mean that even the most informed predictions are bound to fall short. Any one of the players listed above could make it into the World Tour finals, not to mention dark horse candidates like Takashi “ACQUA” Akiyami, Dawn “Yohosie” Hosie, Alioune Camara, Glyn “Doza” Mendoza, and many, many more. Dragon Ball FighterZ competition may be in flux outside of the official World Tour events due to overzealous rights holders shutting down grassroots tournaments, but the players who qualify for the World Tour finals are sure to make the community forget about these outside issues, at least for a couple of days. The Dragon Ball FighterZ World Tour qualifiers are scheduled to begin Saturday, January 26, at 12 PM PST, with the finals set for Sunday, January 27, at 11 AM PST. Both competitions will be live on Twitch.